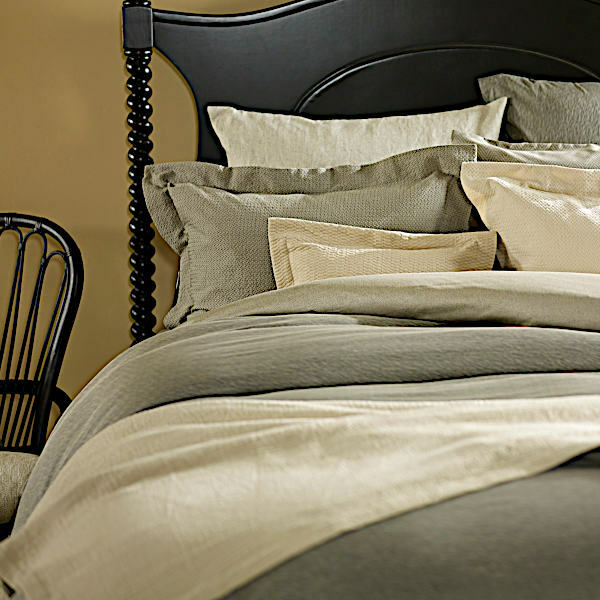 SDH Fine European Linens Midori Bedding - Swatches may be available. Midori by SDH is a unique two-color dyed jacquard will charge up your bedroom with its sharp appearance. Bedroom photograph shows bed set with Midori duvet. 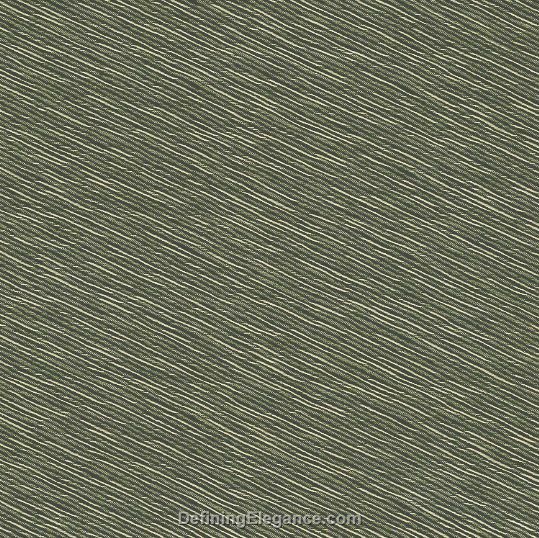 Please click on the fabric sample to enlarge and to appreciate the fine texture. 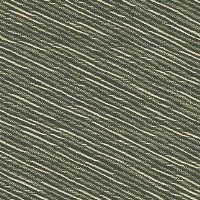 ● Two Color yarn dyed jacquard. 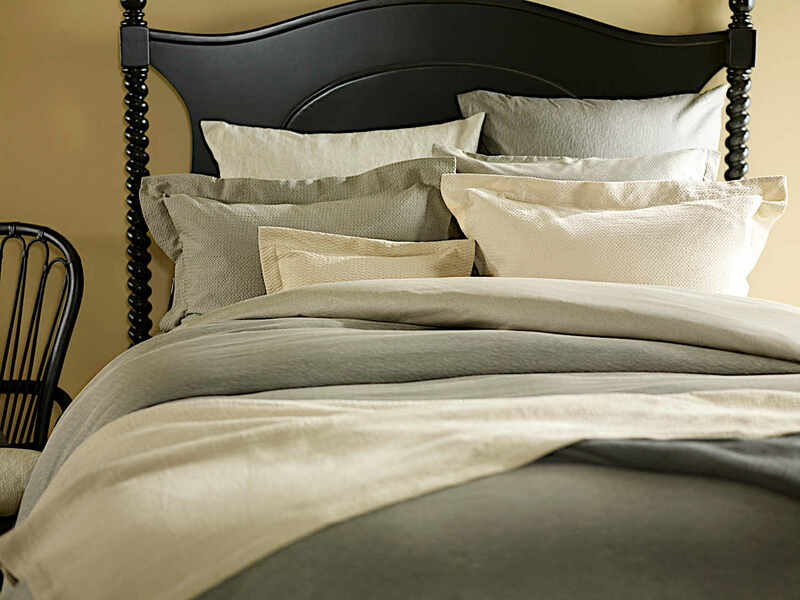 ● 100% Egyptian Cotton jacquard. ● 585 Threads per square inch.